I've ordered far too much again so her is some more April loot. First up is a cute little Miffy plush and a Korilakkuma figure to go along with my Rilakkuma. 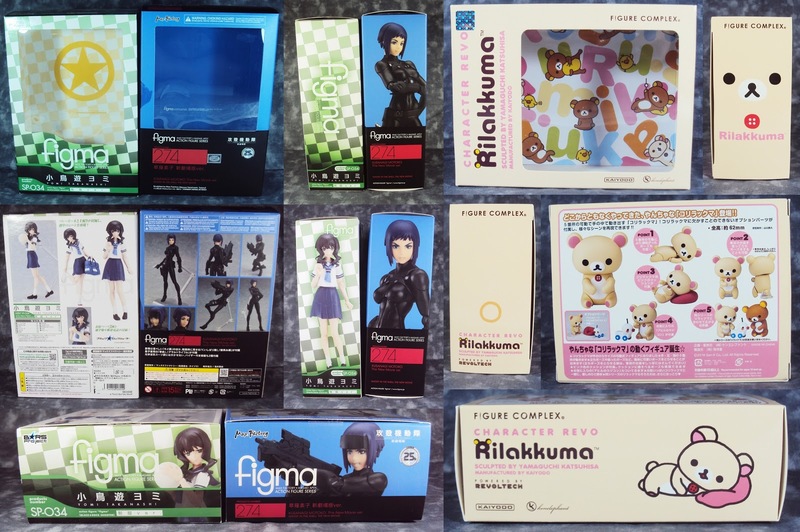 I also picked up some more figmas getting a Yomi figure second hand from Amiami and the new movie version of Motoko from Ghost in the Shell. I'm very happy with my new figmas and with my Korilakkuma as they are all nicely painted and the Motoko figma is highly articulated. And as people like to see the box art here are the boxes - you get a nice comparison between figmas old and new box designs.